Engraving always goes a long way to show that special someone you are gifting just how much they mean to you, and here at Bianca Jones Jewellery, we offer personalisation to your jewellery to make sure the piece is an absolute treasure. Give a gift of meaning and thought by adding hand or machine engraving. 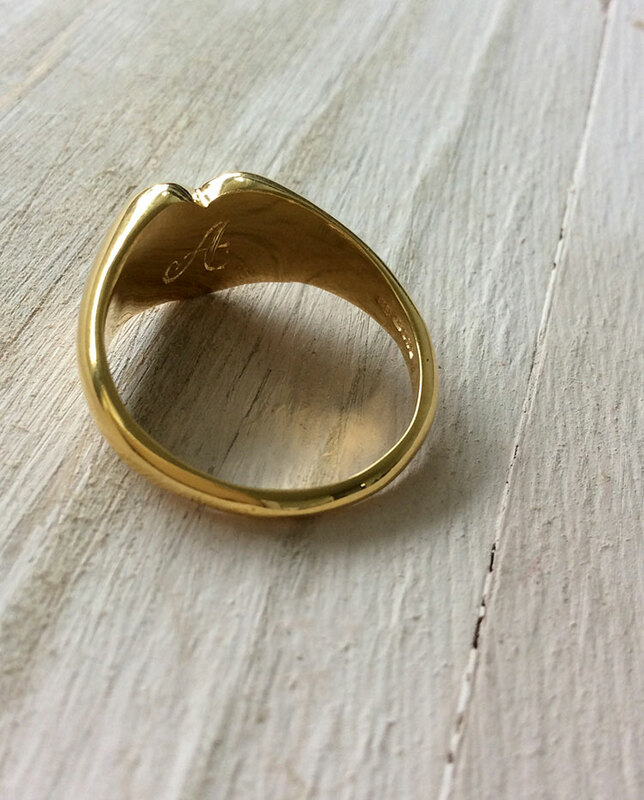 So what is the difference between using hand or machine technique to engrave jewellery? If you are a bit of a last minute gift buyer and you need the piece of jewellery super quick (don’t feel bad… we all have these moments!) then go for machine engraving so we can get the piece to you just on time. Machine engraving is also the best option if you are want something very tiny to be personalised and engraved onto your piece. Due to the different technique used with our hand engraving, there is a slightly different look to this personalisation. Hand engraving uses a different brush stroke producing a more organic look due to the gradient and greater depth of the etching. Now the tricky choice, what letters to have engraved onto the piece of jewellery? For the lovers of all things monogrammed, and aren’t we all as well as being hot on trend this season. Why not get the recipients own initial engraved onto the piece, showing her just how special she is by personalising her jewellery, only for her. 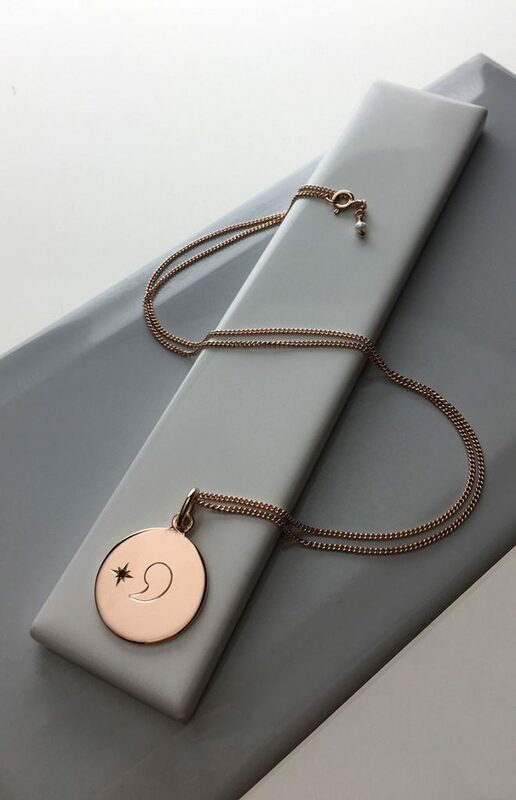 Or perhaps choose to mark the initial of your child or family name to make for a truly treasured piece that will remind her that her loved one was close by each time she wears the necklace or bracelet. Celebrate family love, carry your world with you always. Have that very important date marked on your piece of jewellery so that you can carry the memory of this day around your neck or wrist forever. 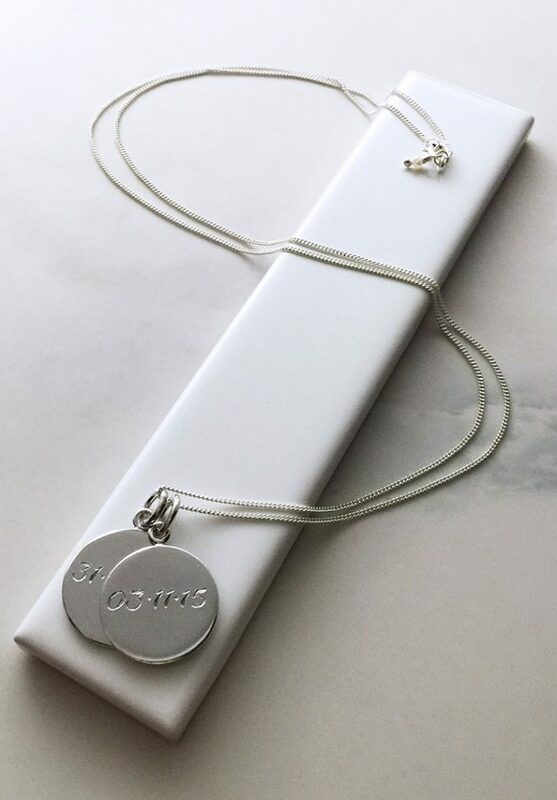 Date engraving makes for the ideal addition to a precious piece of jewellery, perfect for the big birthdays 18th, 21sts, 40ths, graduations, birth gifts and wedding jewellery. If you are choosing to have, a Disc Charm personalised and engraved you have the option to choose whether to have the front or reverse embellished. Perhaps go the extra mile and decide to have an Initial on the front and an important date engraved on the reverse, a personalised gift that is sure to be treasured for life. Have a different piece of engraving in mind? While our disc collection is the most commonly chosen piece to be engraved – if you do have any other particular piece of jewellery in mind, please do drop us a message at orders@biancajones.co.uk and we will do our very best to help out! That said, any questions about the ways to personalise the Bianca Jones Jewellery do say hello and email.